Last night the application period for the European Planning Meeting 2017 in Zagreb finished. Altogether 415 members applied. The chances to be accepted are high. “We can host up to 400 people in the gym, it’s large enough to host everyone comfortably!“, AEGEE-Zagreb told the Golden Times. How many will be accepted, depends very much also on the motivation letters, though. With 81 people, most applicants come from Spain, followed by 65 Dutch and 54 Italian people – that’s more than 47% of all applicants coming from just three countries. Find out more about the event, which will take place from the 23rd till 27th of February, in this interview. GT: Only 12 weeks until the EPM starts – how are the preparations going? AEGEE-Zagreb: The preparations are going splendidly and we are super excited about every little step of progress! GT: How many people are working on the EPM? AEGEE-Zagreb: We are around 20 people in the organizing team so far. Everyone works to the best of their abilities, day and night! GT: What do you think about the EPM topic “Europe under Siege – Populism and Anti-European Agitation”? AEGEE-Zagreb: Out of all the proposed topics at Agora Chişinau, we believe this one to be the most current. We are surrounded with the rise of populism in the last years, the world around is changing and steering further and further away from the future we believe in. We as AEGEE are obligated to react and to make an impact. Is there a better place to do so then at the EPM? 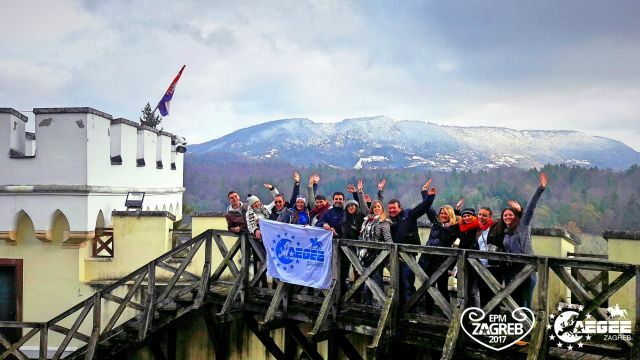 The AEGEE-Zagreb members – here at an LTC – are waiting for you! GT: What can AEGEE actually do against the rise of populism? AEGEE-Zagreb: AEGEE should strive to include in its events not just its members, who are proven to be more Europtimistic and inclusive, but the general populace that doesn’t always share our ideals. A series of discussions open to the public in the cities that are represented by our antennae on diverse topics, such as the migration issues, open borders, promoting inclusivity and acceptance of differences would be beneficial to the cause. We are lucky to be surrounded with likeminded people inside AEGEE, but we should extend this way further and reach out to everyone else. If we don’t rise against problems, who will? GT: Where will the participants be lodged? Hostel or gym? AEGEE-Zagreb: Naturally, we will be in the gym! Many of you are probably thinking: cold air, cold showers… but! Guess what, we’ll have unlimited heating and hot water since the gym is connected to a thermal power plant! And we have up to 24 showers at our disposal! So we expect to see quite short lines in the bathroom! GT: 415 people applied. How many can you host? AEGEE-Zagreb: We can host up to 400 people in the gym, it’s large enough to host everyone comfortably! GT: Zagreb is a big city. How far are lodging, plenary, food places and party locations from each other? AEGEE-Zagreb: The locations that we will use during the EPM are all within five minutes on foot from one another, as they’re concentrated in the same area. We were paying close attention to this in order to make everything easier and faster for all of us. GT: Will there be a video livestream at the EPM? AEGEE-Zagreb: For now we cannot tell for sure, but we will try hard to make this possible. GT: How can the participants reach Zagreb? AEGEE-Zagreb: Although Zagreb itself isn’t served by low cost companies as of yet, it is by no means unreachable. The closest low-cost hubs are Trieste, Venice, Vienna, Belgrade, Budapest, or even as far as Milan – all of which can be reached by Flixbus, a number of other bus companies and trains… And hitchhike is always an option! Other nearby airports without low-cost flights during winter include Ljubljana, Split and Dubrovnik. GT: Should the participants bring more time to visit Zagreb? AEGEE-Zagreb: We would love everyone to come see Zagreb and how wonderful of a city it is! The tight EPM schedule won’t allow for a lot of sightseeing, so definitely – plan for one more day at least to see what our white city offers. GT: Do you already know some pre-events or post-events that you can tell us about? AEGEE-Zagreb: We’ve heard some rumors for sure, but we won’t confirm anything before the antennae themselves decide to do so. The only one that is confirmed officially is the Pre-EPM in Novi Sad, go check it out on the Intranet! GT: How old is AEGEE-Zagreb? AEGEE-Zagreb: Our antenna was founded in 1993, which makes us 23 at the moment, and the EPM will end two weeks shy of our 24th birthday. AEGEE-Zagreb organised the second best of all SUs this year! GT: How many members do you have? AEGEE-Zagreb: At the moment we have about 60 members, however that number is increasing! GT: What was your antenna’s biggest or most legendary event so far? AEGEE-Zagreb: Since we are not members for such a long time, we must mention this year’s SU with AEGEE-Ljubljana that was ranked second best in the evaluations! For us, it has been our most legendary event so far – but we are pretty sure EPM will soon overtake the SU and take the coveted spot after February. GT: Why did you apply for hosting an EPM and not the Agora? 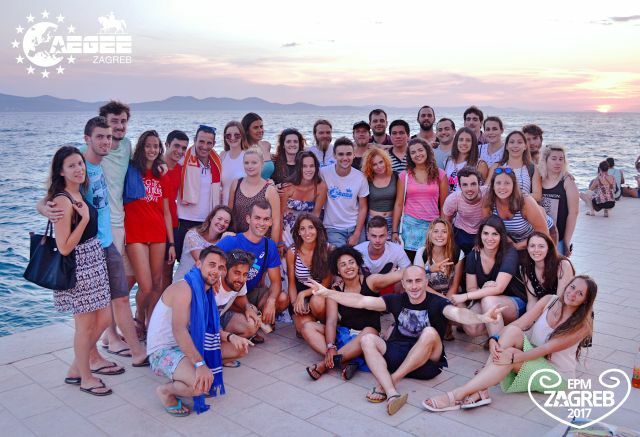 AEGEE-Zagreb: The idea that we had as a local has always been to host an EPM, rather than an Agora. AEGEE-Zagreb just started to grow as a local in terms of new and active members; for the time being, organizing an Agora is not possible due to logistical reasons, but in some years – who knows?